The content of this website is for your general information and use only. It is subject to change without notice. Neither we nor any third parties provide any warranty or guarantee as to the accuracy, timeliness, performance, completeness or suitability of the information and materials found or offered on this website for any particular purpose. You acknowledge that such information and materials may contain inaccuracies or errors and we expressly exclude liability for any such inaccuracies or errors to the fullest extent permitted by law. Your use of any information or materials on this website is entirely at your own risk, for which we shall not be liable. It shall be your own responsibility to ensure that any products, services or information available through this website meet your specific requirements. This website contains material which is owned by or licensed to us. This material includes, but is not limited to, the design, layout, look, appearance and graphics. Reproduction is prohibited other than in accordance with the copyright notice, which forms part of these terms and conditions. All trademarks reproduced in this website, which are not the property of, or licensed to the operator, are acknowledged on the website. Unauthorized use of this website may give rise to a claim for damages and/or be a criminal offence. From time to time, this website may also include links to other websites. These links are provided for your convenience to provide further information. They do not signify that we endorse the website(s). We have no responsibility for the content of the linked website(s). You agree that OliveOilLovers.com can only be held liable for damages up to the amount of the order on which the damages occurred. 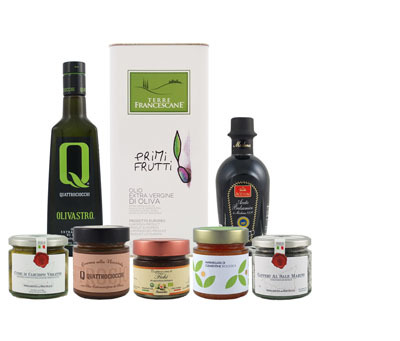 OliveOilLovers.com is a secure site. The payment process that requires your credit card information is processed through an encrypted gateway. Olive Oil Lovers does not collect or store any of your personal credit card details. The information collected from our customers is only used to facilitate the processing of the order or to respond to customers request for information. If you have opted to receive e-mails from us and you wish to stop, please e-mail us your request and we will remove your address from our list immediately. We will never give your e-mail address to a third party for any reason. We are using the Google AdWords remarketing service to advertise on third party websites (including Google) to previous visitors to our site. It could mean that we advertise to previous visitors who haven’t completed a task on our site, for example using the contact form to make an enquiry. This could be in the form of an advertisement on the Google search results page, or a site in the Google Display Network.